Click here for photos of fleeces currently available. Raw fleeces: We pride ourselves in very clean raw fleeces. We always have several available in various colors and staple lengths. The staple length on average is probably around 5 inches. Fleece guaranteed to be skirted well of second cuts, belly wool, manure tags and organic matter. 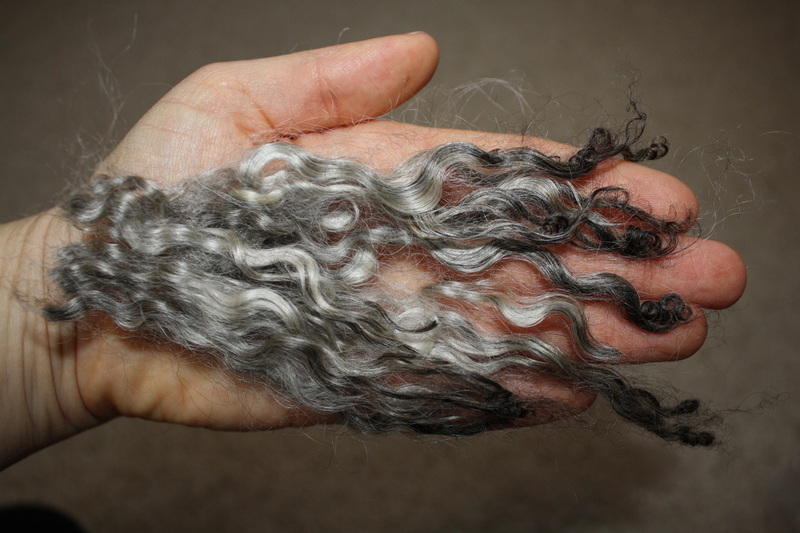 We also offer washed fleeces at an extra $5.00/lb. You pick out which fleece you would like, and we will wash it. 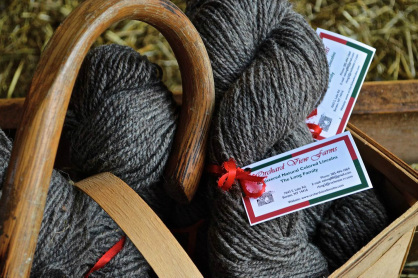 Yarn: Yarn was spun at Battenkill Fiber Mill. Skeins are DK weight, 225yds, 2 ply. 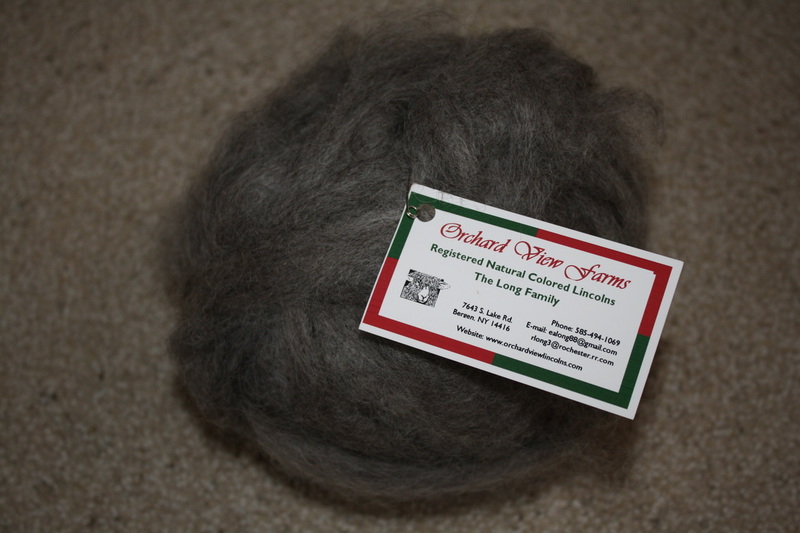 Roving: We currently have light gray, dark gray and while, sold by the ounce. Any amount available upon request. $2.50/oz.